For the homebrewer who is ready to take lagering to the next level! This book is a heavy-weight! This new revised edition contains info on both Lagers and Ales. Not for the faint of heart, this book goes into great detail, giving technical information and know-how for the serious homebrewer who wants to craft award-winning lager beers. more beer info for club. Very knowledgeable author. 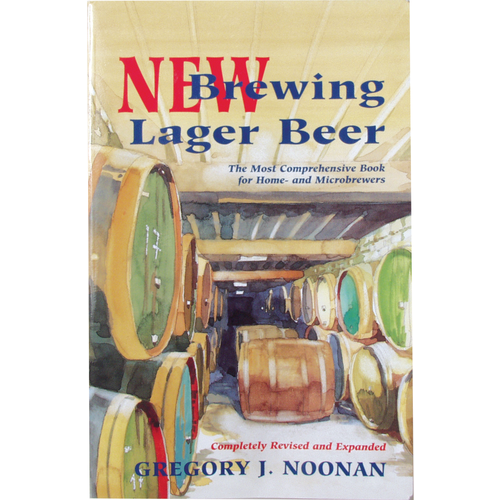 I thought this book would be exclusively on brewing lagers; however, it is an overall brewing book. It needs some updating. Good book overall. Purchase is required to properly review products. This is not a trivial book, the author goes into great detail on a number of topics. There are 40 pages on water for example. After you have some all grain experience you will start appreciating whats in the book.